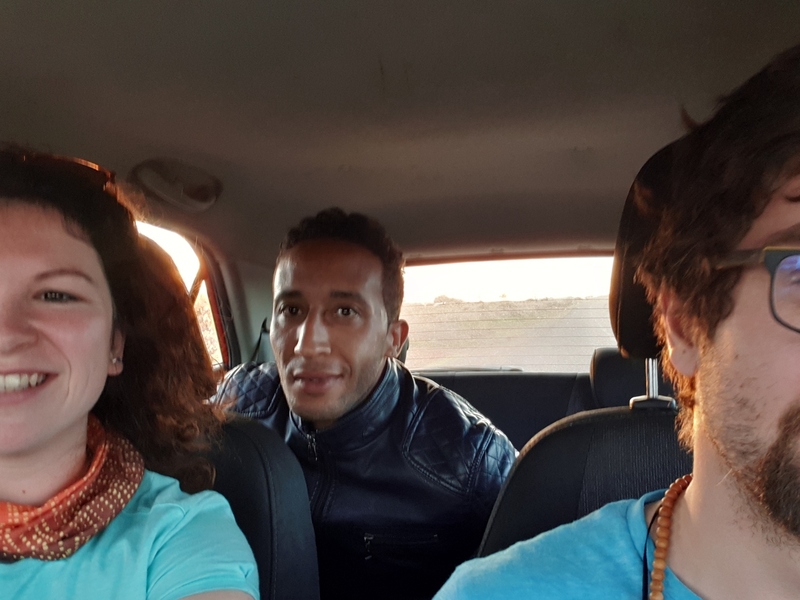 What can you do when you buy flight ticket for one week in Marrakech and rent the smallest car that exists? With a plan to travel without a plan. With the help of local people, that you help before. Discover the corruption of the marketplaces and the kindness and humanity of people from the villages. Move from desert straight to mountains and experience what you have never before. I am not gonna smoke shisha? What am I going to do here? In the beginning let’s summarize basic informations. Step by step. When you land in Marrakech at the airport, you have two options to get to the city. Either you take a taxi, that will convince you they are the best way to get to city, or you take a bus for 60MAD. TIcket for bus is valid also for return trip to the airport, so it is definitely cheaper than a taxi. Another option is to rent a car at the airport, but in general the cheapest rental was in the city (compare on the internet). The last, slightly more complicated option, but the cheapest, is to take a classic city bus. You will have to go a short walk, but the ticket only costs 4MAD and takes you safely to the city center. It's good to spend one night in the city to find one’s feet before you go away. You will therefore need accommodation. 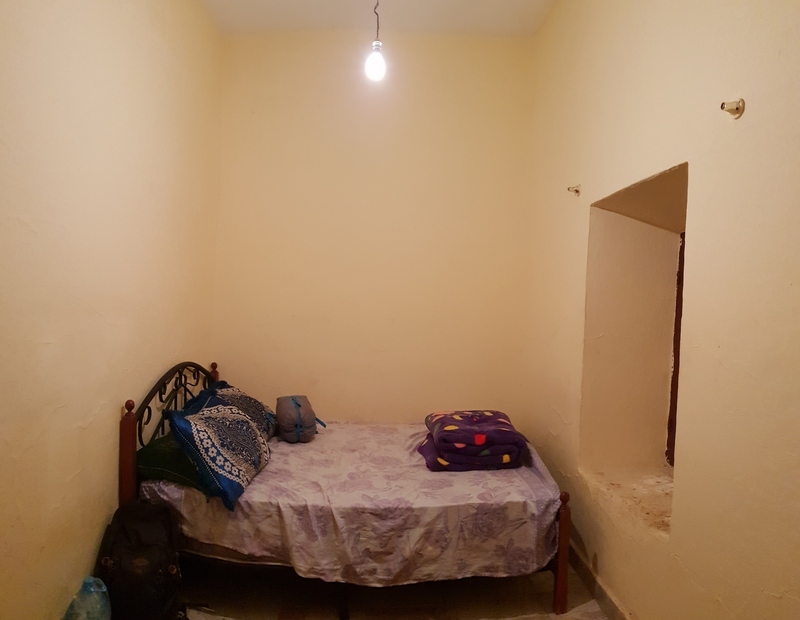 From our experience, Hostel Dia Riad was great. 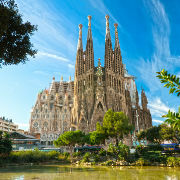 This hostel is located a short distance from the famous market square, but is also hidden in the quiet narrow streets. A great atmosphere is created by the color of the whole building and the perfect staff. If you want, they will arrange all the excursions around Marrakech for you. They also point out important information we didn‘t know - Shishas are not usually smoked in Morocco. This custom is in Turkey, Egypt... if you go for tobacco (like us), then you won’t get it. After accommodation it is good to go eat. NEVER GO EAT TO JEMAA EL-FNA. The food in the main marketplace, which you see in all the pictures of the city, is neither good nor cheap. We didn‘t want to eat at all, and the local marketmen dragged us to the table, gave us a few miniature dishes and eventually pulled us 500MAD. If you want to eat well, just around the corner from the hostel there is a cafeteria where local people eat. For Tajin you will pay about 30MAD. Or just walk through small market streets and taste the good things around. You can also buy food in the mall. We recommend buying local olives and mandarin because you won‘t find such quality in your motherland. Of course, the food from the mall is the cheapest. At marketplaces never agree with the first prize they will offer you. This is a well-known thing, but deal at least half the price and start at half the price you're willing to pay. It sounds complicated, but after a while you get into it. In Marrakech, just get lost and enjoy the rush of the small streets. Use app Mapy.cz for the best navigation. No other navigation in the world can bring you right in front of the hostel door. Never ask locals for navigation, they will chargé you for that. Buy a local data SIM card. Our Orange cost 50MAD and included 2GB of internet. It will help you with navigation and eventually it connects you with local people. In Morroco is widely used what's app for communication. If you really want to use your time, rent a car and leave as soon as possible from Marrakech. We used the grader https://www.levnaautopujcovna.cz and borrowed Kia Picanto 0.9. The car will cost you approximately 16€ per day + 10€ for daily insurance. Gasoline is cheap here, and with a small car you will also have lower consumption. In the end in the bends you will be able to control your car very well. I enjoyed riding in the mountains like a rally driver. Serpentines are like heaven for drivers. Many times I overtook locals. However, if you are not an experienced driver, you should arrange trips from Marrakech by bus or by train. Roads are really for good drivers. And the last important thing - Navigation doesn‘t work properly online or offline if you are moving between cities. It's good to go in two people, one is checking the map and the other one is driving. And take hitchhikers, it’s super cool. We took almost 50 hitchhikers in one week and everytime it was funny experience. Most of them don’t understand you, but all of them are really thankfull. You don‘t have to worry that something happens to you. 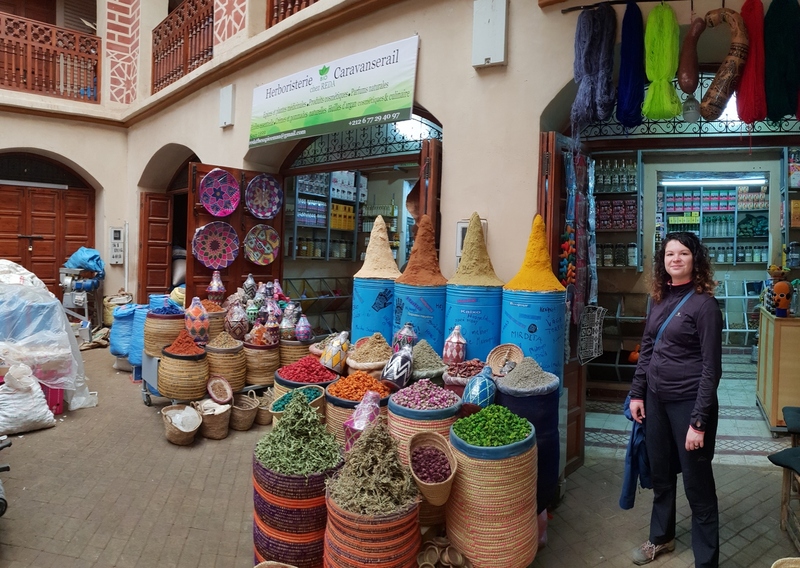 Our journey started in Marrakech on December 13 2018. We landed at the local airport, took a bus to the center and stayed at the hostel. After a while, we went for a walk in the city center and then we decided that we want to spend the least time possible there. We were looking forward to exploring the desert, trekking in the mountains and other adventures. Local shouting, and occasionally nasty marketmen didn‘t convince us to stay in the city longer than needed. In the morning we picked up a rental car and headed direciton desert. Right from the beginning we found that navigation is working, but the map is not moving and Eliška will have to navigate. I enjoyed the Marrakech ride because you have to be constantly alert and the ride is playful. But definitely insure the whole car. You might need it. During the trip, we saw many locals standing by the road and trying to hitchhike. We did not pay much attention and we ignored them somehow. After a while, however, we noticed that the distances between cities are not small and public transport doesn‘t work well. And so we took one little boy and rode him 30km to the place he wanted. Since then, we've taken almost every hitchhiker. After about an hour drive we reached the mountains. The road began to twist and climb to the heights above the clouds. If the highest point you've ever been to is Snezka (1602), you'll be a few hundred meters above here. Sometimes we were surprised that the road had disappeared and we drove on the mud. Other times, at 2200m, you have roads with two lines and the quality of German motorways. 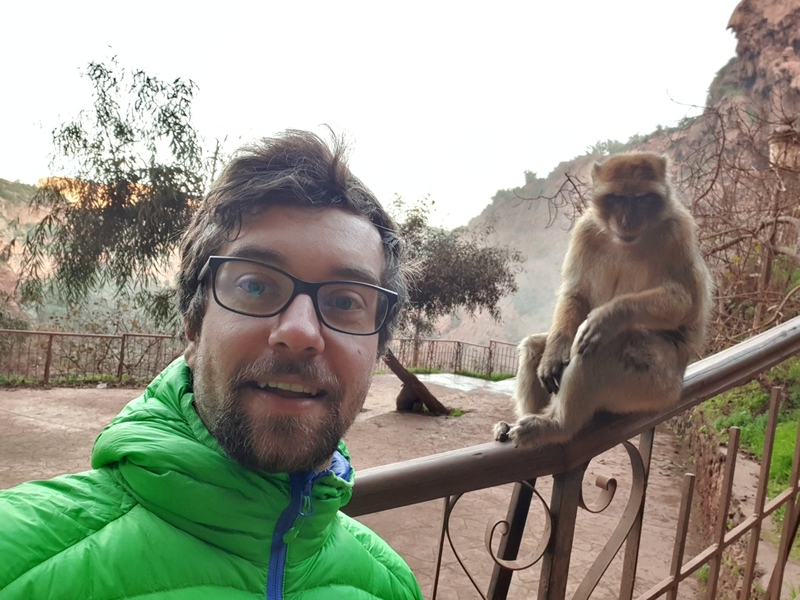 In Morocco you never know what can happen to you. We swiftly crossed the mountain passes when we suddenly noticed the car on the sidewalk with an open hood. Alongside the car, Marocan man stood waving to us to stop. We did not hesitate for a moment, and we decided to help him. The only thing he wanted from us was to take him to the mechanic in the next city. Of course we took him there. He then drew a map to which he wrote something Arabic. He asked us to give it to his relative, who lives in the place marked on the map. So we left Moroccan man in the place and went to his relative. The map was logically drawn and we reached the place without any major problems. When we came to the door of the house, Berber stood in front of them. We gave him a paper with message. He immediately began to smile and he was grateful, that we handed him the message. There was written something like "I'm fine. My car broke down and I will come home later“. Berber was so glad he invited us home for tea. For the first time, we saw how to prepare and pour tea. It was magical. After a while he took us to his shop with the things he brought from desert with the camel caravan. He showed us how to set up a turban and offered us to sell it to us. He talked about 100MAD and I started to haggle. He assured me that this prize is friendly because we helped his family. We accepted the prize and bought a traditional blue turban from him. When we later talked to the Berbers in the desert, they assured us that they would not receive such a prize because it is the finest cloth in Morocco. After this visit we hit the road again. It took us several hours to cross mountains and still it was more than 200km to desert. In Marroco is ussualy speed limit 80km/h and pepople are driving 100km/h. However there were lot of speed reducers and so it took us long time. We got to the finish at sunset. Our finish was city Mhamid El Ghilzane. This city is the last place before desert. We had arranged there overnight stay through couchsurfing. Our host Brahim was a little late and all the time someone came and offered us place to sleep. When the sun was down, and it was dark everywhere, Brahim arrived. He told us to follow him home by car. We drove through the city to the edge, and suddenly we went to nowhere. We went about 5km in the wasteland until we arrived. It was dark everywhere, the nearest light went from the city 5km away. We only saw the outline of the building and the sand. Brahim accommodate us, made dinner and tea. Then we met a lady who was also a guest. Then Brahim's brother arrived, who started playing the guitar very pleasantly. We talked a lot. We also arranged a desert trip with camels for next day. Later that night we watched the stars and then went to sleep. When we woke up in the morning, one of the most amazing views was waiting for us. We opened the door and all around us was just a desert and beautiful sand dunes. Brahim prepared breakfast for us and went for Berbers with camels. We have shortened the waiting time by playing with sand. We threw it into the air, we were climbing the dunes, and then trying to ride them down. Sand in the desert has the advantage that it‘s not wet and therefore doesn‘t stick. After about 3 hours of waiting, when we were bored enough, we finally saw the camels. Two Berbers, who looked like gangsters, led them. One was a chef and the other was a responsible for camels. They prepared our sitting on the back of the camels. Under that were all the important things for the trip. Then we set out. After 10 minutes, my ankle hurt. I thought I'd survive at least today, so I sat for 2 hours on a camel that I might never get off from. In the depths of the desert, we suddenly stopped at a dead tree beneath the dune, and the Berbers began to pick up stuff from camels back. "Here we go camping," they said. The Berbers took all the stuff from camels back and let them go into the desert. They only tied their front legs together so they couldn’t move too fast. In the meantime, Ahmed and Joseph, that’s how they were called, have begun to make fire. And so we helped them. At the fire, they then cooked tea and dinner. The time by the fire was really great. They taught us sentences such as "Badakumdu" and "Kortkumdi", which in translation meant something like "Is that your donkey?" And "Is that your camel?". We were repeating these two words all night, and we were having fun. Two hours after we let camels go into the desert, we set out to find them with Ahmed. We followed their tracks for about half an hour, and then we found them biting the bushes. We brought them back to the "camp" and ensured that they would not run away. This is done by tightening one leg to keep it crooked. We personally do not like the animals being abused, but here we could see that Ahmed really has a relationship with them, and whenever they don‘t go with caravan, he lets them walk freely. Ahmed and Iosif built a tent in the evening, but we decided to sleep under the stars only in the sleeping bag. A view of the sky full of stars, where you see the milky way and falling stars, is a thing that you keep in mind forever. At night, you hear only the sounds of the wind that plays with sand, and sometimes you can hear an animal. Beware, because in the desert, temperatures drop to 8°C at night and a good sleeping bag is needed. After the morning's awakening, we watched the sun rise above the dunes. The desert gradually turned orange, and the sun's rays warmed it so that we could draw its energy. In the meantime, Ahmed cooked breakfast for us and of course tea. There was silence everywhere, the camels were waking up and in the heart of the desert we ate Moroccan bread and drank the best tea in life. After breakfast, we put all things on camels and went back to civilization. After 15 minutes of riding, I decided to go on foot. To my surprise, Eliska was just the same, so we became the camel caravan in the desert. Even though Berbers walk the desert in sandals, they are really fast. After hour and a half we came back to Brahim, where we all said goodbye and set out for the next trip. This time in the mountains. The entire camel trip Brahim arranged for us for 50 €, which was a price twice lower than normal. 60km in 3 hours by car? Never! This time the road was completely empty and we could go over 100km/h all the time. The landscape around the car gradually changed from the dry desert, across the green fields to the foot of the mountains. We went several times around sign „Caution, camels“, but it didn‘t bother us. "We can hardly see so many camels so we have to pay attention," I thought. It took about 10 minutes to see three camels on the road ahead of us and another 30 along the road. It surprised me in a good way. Luckily roads are straight in Morroco and I had plenty of time to react. About halfway to the mountains we stopped in El Bahja to refuel and eat. At the local restaurant by the road, we ordered Tajin. The price was very low and the quality was high. This combination was mainly due to the fact that we were not in any tourist place and so we could enjoy the food that is eated by locals with the price for locals. We also bought two 5l barrels of water from which we refilled our bottles. After lunch, we were slowly approaching the mountains. On the navigation, I saw that there was about 60 km left to the destination, but the trip would take at least 3 hours. All the time I thought it was a navigation error, and it just doesn‘t know where we are. But then I found the reality. Navigation did not go wrong, it was me. We traveled to the mountain serpentines, where the roads completely disappeared. The road was barely wide for one car, but there were cars in both directions. When we went around another car in the opposite direction, we were almost off the road with wheels on the ride side. Below us was a few hundred meters of precipice and it was really adrenaline. After a while, I began to calm down. There was a truck ahead of us. "When he goes through it, I have to go too," I said. But then he stopped at the landing and let us overtake him. Even though I am good driver and I enjoy ride in the mountains, this time I was also bit afraid. We arrived at the destination after dark. Around 10 pm we parked a car in Imlil in front of the hotel, where we dealed price 300MAD for both with breakfast and parking. There was also a warm shower. But next time, we would rather go a few miles further, where the hostels are in smaller cities and the price is significantly lower. 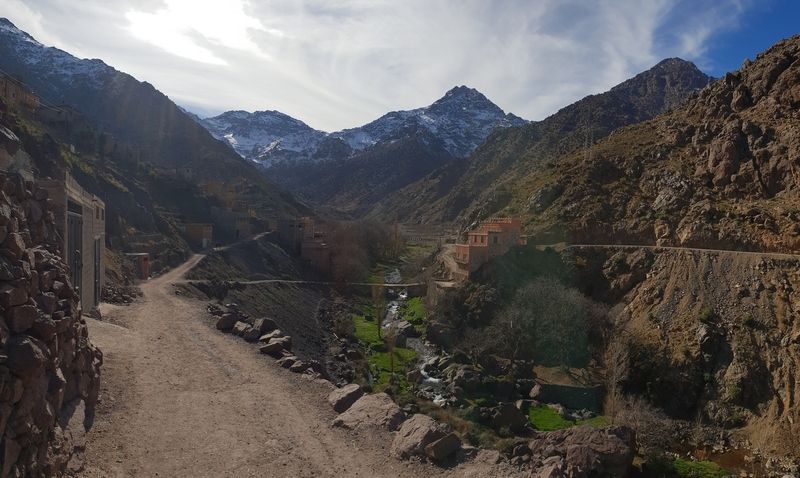 In the morning we woke up with a clear plan to climb Toubkal. The highest mountain of Morocco, which reaches altitude over 4000m, and the journey to the summit and back takes two days. The mountain peaks were covered with snow and we thought it would be better to rent climbing-irons for the trip. To get enough cash, we went to the city to withdraw. When we got back, we packed only stuff needed for climbing, so that our backpacks were as light as possible. We rent the equipment and we started the journey. The trip was amazing. Rocky paths led at the foot of the mountains. Around us was one of the many valleys of the Atlas. In front of us were pointed, snowy peaks on which we planned to climb. The sun was shining and behind us was a group that rented a donkey for wearing things. 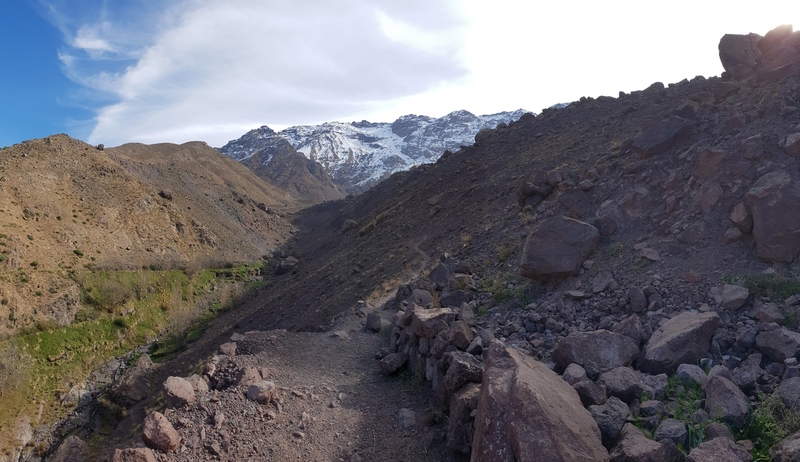 When we were not sure of the way, we just told the locals "Toubkal?" and they showed us where to go. Determined to reach 3300m the first day we set good pace. Everything seemed that we shouldn’t have a problem. It's not always as planned, and we're used to it. We usually don‘t plan anything, and when we plan something, we are willing to adapt to the situation. But what happened on Toubkal surprised even us. After 3km of trekking, when we were still full of power and looking out for mountain peaks, we were stopped by local authorities. Under the Toubkal peak, somebody was murdered. I was grateful that they gave us clear information and we didn‘t have to look for what was happening and why we couldn‘t go up there. We knew it wasn’t done by locals, but we didn‘t want to stay in the area for a long time. We have come to the nearest village, where tourists probably don’t come. The local people smiled at us and one older lady even offered us free freshly baked bread. When we thanked her and offered some small change, she went away for a moment. When she came back, she gave us money back and invited us home for tea and nuts. She didn‘t understand us and we didn‘t understand her. With various gestures and "universal" words, we told her what had happened and she was glad to be informed. From her, we walked down the small path through the valley where no one was hiking. We walked for about 2 hours until we got back to Imlil to our car. We didn‘t want to stay, but we didn‘t know what to do next because we had a certain schedule and we wanted to be in the mountains for a while longer. Finally we decided to go to the Ouzoud waterfalls. I'll sleep with you, okay? We set up the navigation and saw that we will be driving all afternoon again. Nevertheless we enjoyed that road trip. We were driving along the Atlas all the time, and mountain peaks were showing us all its beauty. As always, we've taken all the hitchhikers we've met. Thanks to that we enjoyed the road much more. In some cities, my driving skills were re-tested, because the locals didn‘t want to move, even when the truck was driving behind them. So I had to "break through" a crowd of people who were looking at the markets in the city center. In the late afternoon we picked up a hitchhiker who couldn‘t speak English. He spoke French, Spanish, Arabic and Berber. Unfortunately, we speak English, German and Czech. We've been trying to communicate all the time, but it wasn‘t possible. Gentleman seemed to be coming from a date because he was wearing only an elegant leather jacket and smelled as perfumery in the shoping center. All the way we tried to ask him where is he going, but he always showed same way as we were going to. We understood that he was also traveling to Ouzoud, so we paid no attention to that. When we arrived, "hunters" were waiting for us everywhere. Ouzoud is really a tourist destination and everywhere there are people who are trying to lure you to their parking lot and to their hotel. So we stopped at one of them, saying that if we stay there, we'll pay parking for the night (20MAD). He asked if we were looking for accommodation. We haven’t dealt anything yet, so we agreed. He asked a question for how many people. I didn‘t realize there was a gentleman standing next to us and I said of course for two. In that moment gentleman replied that no, for 3. For a while, we were arguing for how many people we really want a hotel room when a man in the car park spoke to a hitchhiker and explained that we only took him away but he is not going to sleep with us. If he said that in advance, we might have taken him, but not like this. The poor man had to go somewhere else. The man from the parking lot asked about some information of our "dream" accommodation and took us somewhere, where the bed and the shower were. We didn‘t have high accommodation requirements, and thanks to that it was enough for us. In the parking lot, we have already agreed with another "hunter" on the shisha. So when we accomodated, he took us to his hotel where he went for the pipe. We were sitting in peace off the main street. Under the trees we smoked shisha and talked about local habits, the style of life and culture. If we were not already accommodated, we would definitely go to this Hotel de France. After a great night we went sleep with the plan to go to waterfalls in the morning. We woke up at 8 o’clock in the morning. We brushed our teeth but everything was still closed. Even our hostel was locked from the inside, however keys were in the door lock. Everyone was sleeping. We got a brilliant idea to go to the waterfalls at this time. So we went down the stairs and saw shops everywhere along the way. Nobody was there. No one was disturbing us. In the middle of the way we came across wild monkeys, that did not even notice us because we were alone. At other times, they would have annoyed us and may have attacked us because they are used to tourists, but this time we were safe. The morning view of the waterfalls was breathtaking. 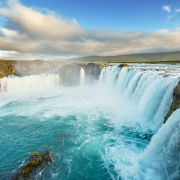 A mass of water that fell down and continued, like a quiet river, that fizz like a morning shower in the nature. When we enojyed waterfalls enough, we set off on the way again. From a man in the car parking we got a tip for a trip to the heart of the Atlas. The first stop was the city of Demnate. It reminded me a bit of Marrakech markets, but people were nice and prices were much lower. Traditionally we went for tea and Tajin and then we went shopping. We bought spices, nuts, and other things. If you go to the waterfalls, definitely stop here. It will cost you less than in Marrakech. From here we went further down the road to the heart of the mountains. The road was getting worse and worse, sometimes it disappeared completely. We were still looking for a place to hike. Then we discovered a hidden parking lot where we started a trip. It was hot sunny day and we wanted to climb a hill to look around. Unfortunately, the path was still in the valley as it was made by the local tractor. We got to some farmhouse, where we turned around and went back. So we decided to go further by car. The car has already experienced a lot. We went with it into the desert, mountain roads, field roads and somewhere where I would never dare with new car. But the road ahead was getting worse and worse and I, after several kilometers of misery, thought it is time to go back. But where to go now? We had two days left and we didn‘t know what to do next. We didn‘t want to be on the beach and we banned Marrakesh at the beginning. 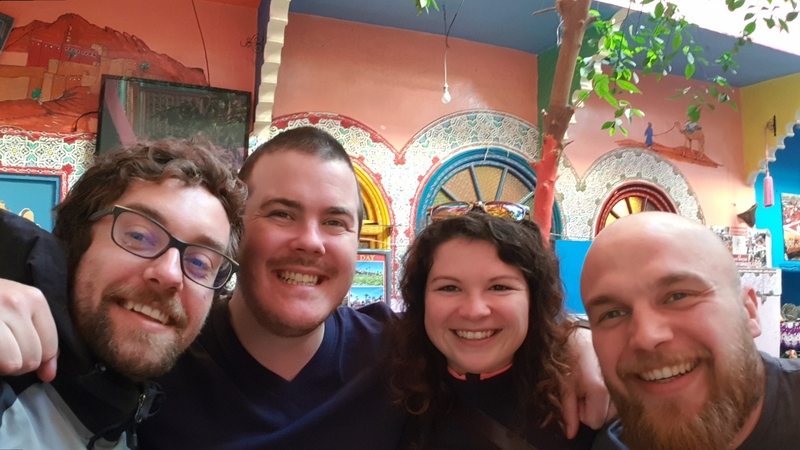 We decided to swallow bitterness and return to Marrakech to give it another chance. We booked same hostel and in the evening we got already there. The door opened to us Nail, Scotish guy we met the first day of our stay in Morroco. He was glad to see us and so we, together with other guests, exchanged our experiences and told our adventures. We didn‘t pull the heels out of the hostel and it was perfect. In the afternoon, we went back to the hostel and spent time with all the travelers we met. Again, we gave them some tips in return for their tips. Thanks to that, we have gained contacts to people from all over Europe and we are invited to many of them. We've learned them to use Mapy.cz as the only app that works in the city. 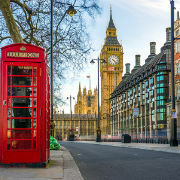 We told them about cestolet and the possibility of extending it to English and as a whole, we tried to exchange as many traveler's tips as possible. We are still in touch with everyone and we will definitely try to visit at least some of them. So we left Marrakech with peace in heart and with head full of preparations for another traveling experience. like a really? camel here?